Amongst the family papers I inherited from my grandmother and great-uncle (orphans Thelma and Fred McLean in my earlier A Telluride story post), I found several old shiny Xerox copies (remember these?) of news articles my great-uncle Fred had made. He must have kept his local library swimming in copy revenue judging by the many such copies I found amongst his papers. Fred McLean was our family genealogist. 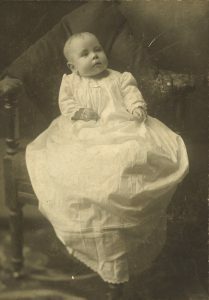 He dutifully typed up family stories, transcribed census records and letters, and then sent copies to his sister and her four children, one of whom was my mother, Thelma Jr. I wish Fred were alive today because it was due to him that I have an interest and now gainful employment in the field of genealogy. Uncle Fred’s copies included a piece about the “Pretty Home Wedding” of his parents, Telluride lawman Kenneth Angus McLean and Alice Pheasey, from the 19 April 1901 edition of the Daily Journal. There were also copies of each of their obituaries from the Telluride Journal, dated 26 October 1905 (Kenny) and 19 April 1906 (Alice). Alice’s obituary ran five years to the day the first paper printed the story on their wedding. I decided to avail myself of a tool my uncle would have loved if it had been available when he was a younger man – the Internet – to see if there were any other news items about my ancestors. A Google search brought me to the Colorado Historic Newspapers Collection. I chose the Telluride newspaper from a drop-down menu and began typing in names. The first story was a small notice about Alice and Kenny’s marriage that was followed the next day with the full and flowery write-up mentioned above (see above). 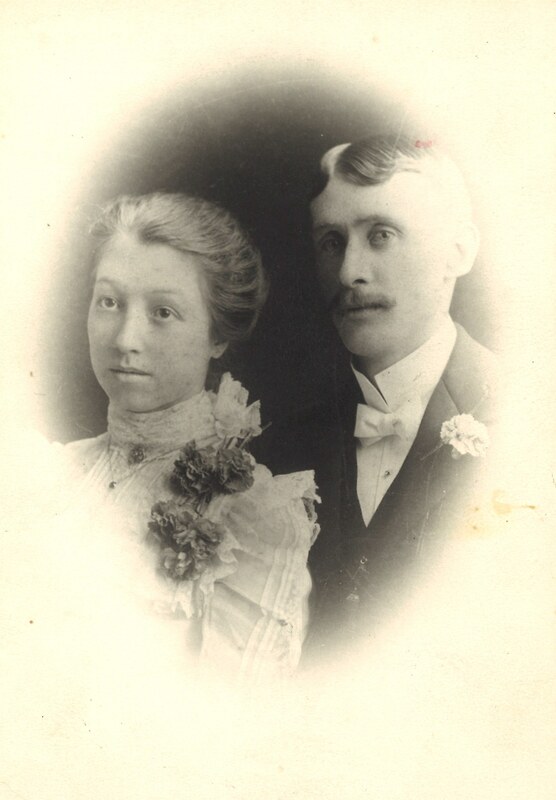 This short piece on 18 April 1901 read: “Kenneth McLean and Alice Pheas[e]y were married last night and left this morning on a bridal trip.” The story of my great-grandparents’ lives unfolds in the pages of their small-town paper. In April 1902, a story ran about Kenny playing in a fifteen-night, 100-balls-to-a-game pool tournament at the Clipper Saloon, which he owned with his brother-in-law, Fred Pheasey; the purse was $50. In June, Kenny and two other men were appointed to the executive committee of Telluride Hose Company No. 1. An August article listed Kenny as serving on two committees for the town’s Labor Day celebration, “the largest of the kind ever held in southwestern Colorado.” The public meeting included a “pretty thorough” discussion of plans for the event, which would include “drilling contests which will be open to the whole country.” In October of that year, Kenny was re-elected chairman of the “central committee” at an “intensely harmonious” Democratic county convention. Unless I’m reading this wrong, “great-uncle” should be “granduncle” as he was, apparently, brother to the writer’s grandmother. I am given to understand that “grand-uncle and “great-uncle”, with or without the hyphen, mean the same thing; both refer to the brother of a grandparent. My dictionary confirms this. Usage apparently varies from family to family, and region. I have read many discussions of this and the confusion that arises because “great-uncle” often makes people assume an extra generation because we are so used to using great grandparent for one generation further along. One side of my family used granduncle and the other great-uncle. I chose to use grand-uncle (or aunt) consistently in my genealogical work because the generation is immediately obvious, and the terminology consistent with grandparent/great grandparent. Hi Sharon, Colorado Historic Newspapers Collection is an awesome tool. Like you, I sort of discovered it by accident and it has been well worth going back to again and again to see the daily lives of my late 19th century Colorado kinfolk unfold in newsprint. The obituary for my great great grandfather in Larimer County reads “Was He Poisoned?” – Nothing like 19th century scandal to keep one buying newspapers! CHNC is free too – making it an even more valuable resource. You are lucky to have folks from Telluride – a more beautiful town I have rarely seen. I learned so much. I was impressed by the excellent spelling and witty writing. There are three more posts to the series, so stay tuned. Sharon, have you tried the “back issues” of the historic “Colorado Magazine?” Interesting and anecdotal information on our Colorado kinfolk can also be found here. Looping forward to the rest of the story! I’ll check it out. Thanks Jeff.